This beautifully painted children’s picture book is based on a Lakota Indian legend about the chickadee and its indomitable spirit. It is also a story of inspiration, about surviving tough times, and about the special relationship between human beings and this little messenger of hope. 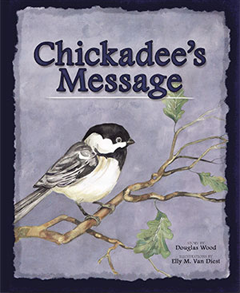 Plus, with magical watercolors by Elly Van Diest,Chickadee’s Message is great for readers of all ages!